As per tradition, CBS will have a singleheader in week one of the 2013 NFL season due to its said coverage of the U.S. Open after its NFL coverage ends. The Tiffany Network will air five games all in the early window, Patriots-Bills, Titans-Steelers, Bengals-Bears, Chiefs-Jaguars, Dolphins-Browns and Raiders-Colts. 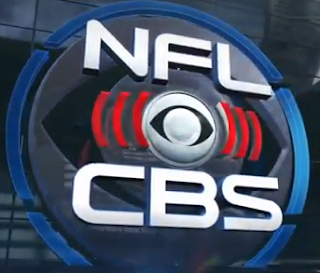 Continue reading for announcing assignments and distribution splits for the NFL on CBS. Could Stewart-Haas Racing be the team to beat in 2014? Another domino has fallen in terms of NASCAR's silly season as it was announced that Kurt Busch, who has been racing this year for Furniture Row Racing, will be joining Stewart-Haas Racing next year. 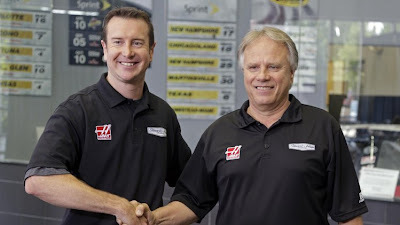 What is fascinating about this deal is the face of SHR, Tony Stewart, was not responsible for this decision, rather it was co-owner Gene Haas' move to pull this off with Stewart recovering from broken bones in his leg sustained in an injury from earlier this month. "I don't think Tony was exactly enthralled with what I did," Haas said during the press conference, a subtle reference to Stewart's prior comments about how the team, after adding a third full-time team piloted by Danica Patrick this year as well as acquiring Kevin Harvick for next season as well, was not planning on adding a fourth team. However, Stewart relented when Haas said that he, through his company Haas Automation which had funding the team before Stewart took half ownership of the team back in 2008. So now with a driver lineup as good as any in the sport, how strong will Stewart-Haas Racing be in 2014? After tearing his UCL, what is next for Matt Harvey? One thing you never like to see is when a budding star of a young pitcher suffers through a injury but unfortunately, that is the case in regards to Mets ace and All-Star Game starter Matt Harvey who was diagnosed with a partial tear of his ulnar collateral ligament (UCL) in the elbow on his throwing arm. Although neither have been announced yet, Harvey will all but certainly be out for the rest of the season and will probably require Tommy John surgery. This news has surprised the baseball world and especially those in the Mets organization as well as Harvey himself. So what is next? threw home. 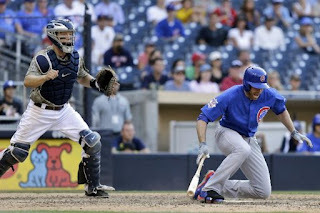 However, the ball never got home, thanks to Mr. Schierholtz. Let's go to the videotape. Well this is interesting. 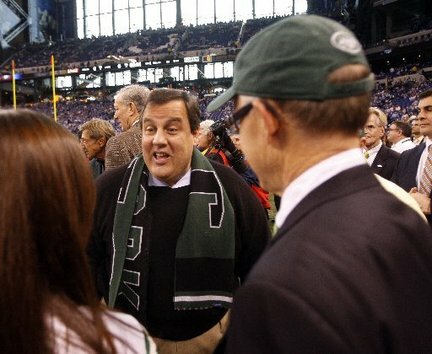 New Jersey governor Chris Christie was co-hosting the great Boomer and Carton show on WFAN in New York this morning. Sounds relatively harmless, butwhen the topic came up of Rex Ryan's bizarre postgame press conference after the Jets' preseason victory over the Giants, particularly the Daily News' Manish Mehta's question over whether rookie Geno Smith would start in the opener, Christie, a Jets fan and a friend of Ryan, did not mince words. Let's go to the videotape. College football is back my friends as this is the first week of the 2013 season. As per tradition, there are the usual number of cupcake games as the powers romp over bottom-feeders but there are a few quality games this week, with the focus being on Death Valley as Dabo Swinney and Tajh Boyd lead Clemson as they will host a strong Georgia club on Saturday evening. Who will start off their season the right way with a win? Here are my predictions for week one.